Congratulations to our July giveaway winners! 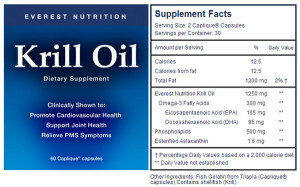 Krill Oil capsules are another easy way to add more Omega 3s into your diet. They have numerous benefits over the standard fish oil supplements. Like Krill Oil on Facebook. Follow Krill Oil on Twitter. In the Chaos to Tranquility Program, Via Parenting’s Rachel Sklar leads a 4-session recorded discussion on ways to help parents navigate the frightening point of chaos in the family dynamic with compassion and functional support. A transformational Guidebook and access to a private Facebook discussion group compliments the audio program to empower parents of preschoolers to move their families from Chaos to Tranquility. You can purchase your own Chaos to Tranquility in the Preschool Years Audio Course at ViaParenting. This is a $97 program, complete with a transformational guidebook and access to a private Facebook discussion group. And just for Natural Parents Network and Me, Mothering, and Making it All Work readers, ViaParenting is giving a 50% rebate off the $97 investment. Rachel is unable to offer a coupon code, but gives these instructions for the 50% rebate savings: The rebate will be refunded via Paypal after purchase. Please email rachel@viaparenting.com with the request for rebate after purchase. 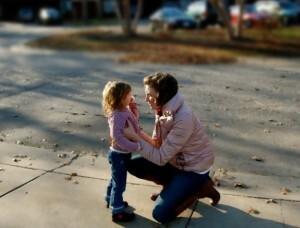 Include the text “I found your program at Natural Parents Network and Me, Mothering, and Making it All Work!”. ViaParenting also offers personal parent coaching over the phone — Rachel offers a complimentary 30-minute ViaPhone coaching session and a great “Rock Your Inner Mama” Audio CD (available for download or hard copy) for USD $20-25. Like Via Parenting on Facebook. Follow Via Parenting on Twitter. Subscribe to Via Parenting’s Blog. The Tranquil Turtle, having won both the 2013 Toy of the Year (TOTY) Award and the 2012 Parenting Toy of the Year, combines a multi-sensory approach to helping your family go to sleep. 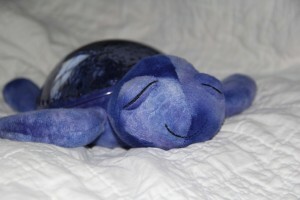 You can purchase your own Tranquil Turtle at Cloud B for $47.95 or on Amazon. Like Cloud B on Facebook. Follow Cloud B on Twitter.